WTJR Beaming the Gospel to the tri-states and beyond! Welcome to your 24 hour full power Christian Television station located in Quincy Illinois. W.T.J.R. means “working till Jesus returns”. Our mission is to broadcast the Good News of the Gospel of Jesus Christ. We transmitt on channel DTV channel 16.1. We are now part of CTN family of television stations . Click here to learn all about CTN. May God bless you this day. 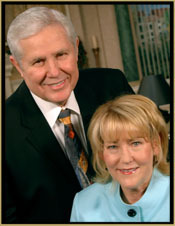 Dear Friends, Thanks to your support, Christian Television Network is celebrating 30+ years of miracles! That’s right, for 30+ years we’ve partnered together in Christian Television and God has been faithful to perform many miracles in the lives of our viewers. Please join us in celebrating our 30 year anniversary by giving a financial gift to your local station. Whether your gift is $5,000.00 or $50.00 it’s an expression of faith in the value of Christian Television. Make a online Donation using your credit Card, you will be transferred to the CTN secure website, We are a local CTN station so select local station. WTJR is a viewer supported Christian television station. WTJR is owned and operated by CTN a tax deductible corporation to broadcast the Gospel of Jesus Christ. If you’d like to help WTJR / CTN continue to produce and broadcast Gospel programming, please consider becoming a supporter.